Dr. Jamie Bone grew up in San Antonio, Texas. Prior to attending dental school, he received Bachelor’s Degrees in economics and biology from UT Austin and UT San Antonio, respectively. He went on to earn a Master’s Degree in biology from UT San Antonio before graduating in 1999 from the School of Dentistry at the University of Texas Health Science Center at San Antonio. Following graduation, he completed the General Practice Residency (GPR) at UT Dental Branch—Houston and Hermann Hospital. He met his wife, Jennifer, when they were both dental students, and they married in July of 2000. Following Dr. Jennifer’s dental school graduation in 2001, they moved to Kerrville and purchased Dr. Emil C. Willmann’s practice. In 2005, they expanded by purchasing the practice of their neighbor, Dr. Jay Burditt. President, San Antonio Component of the Academy of General Dentistry (SACTAGD). Dental Education Council Member, Academy of General Dentistry (AGD). 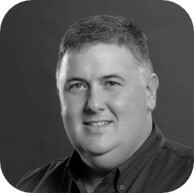 Dr. Jamie received his Mastership in the Academy of General Dentistry (MAGD) in 2010. This award signifies that a recipient has completed at least 1100 hours of continuing education (including at least 400 hours of hands-on courses) and has passed an exam covering all aspects of general dentistry. In 2015, he received AGD's "Life Long Service Recognition" honor. He has been selected by his peers for inclusion in the Texas Super Dentist list annually since 2012.